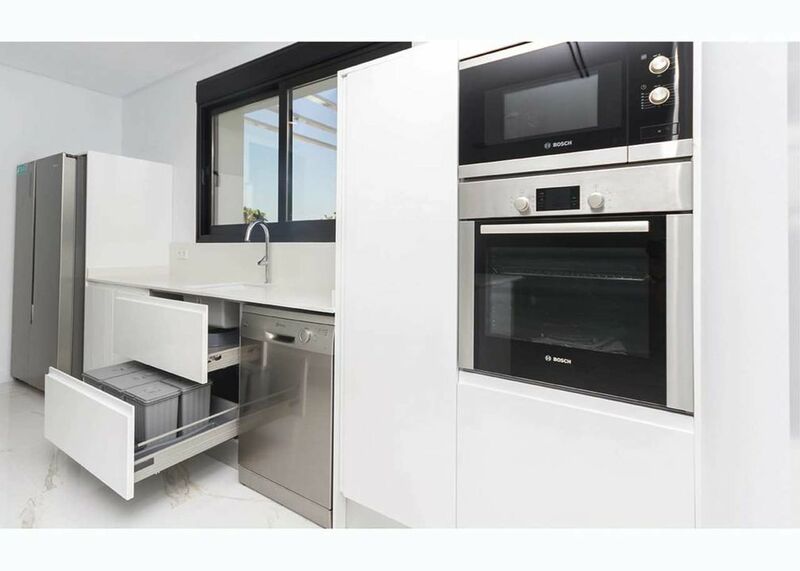 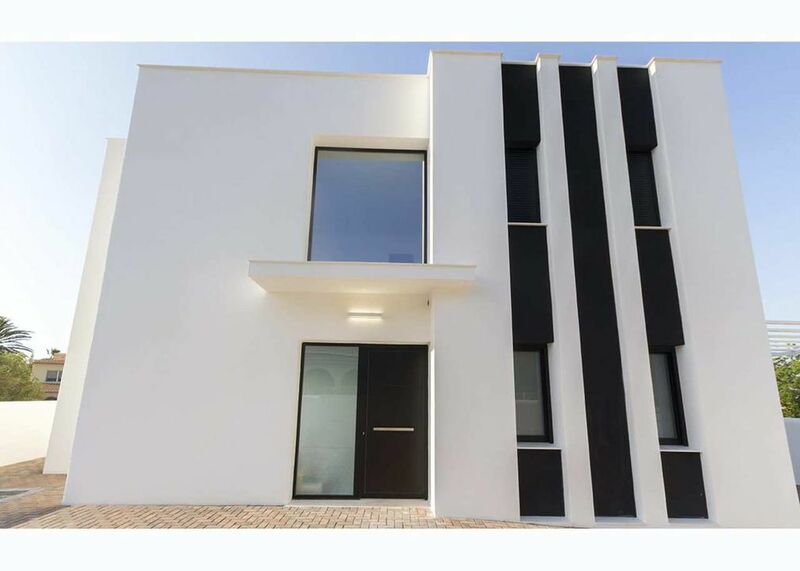 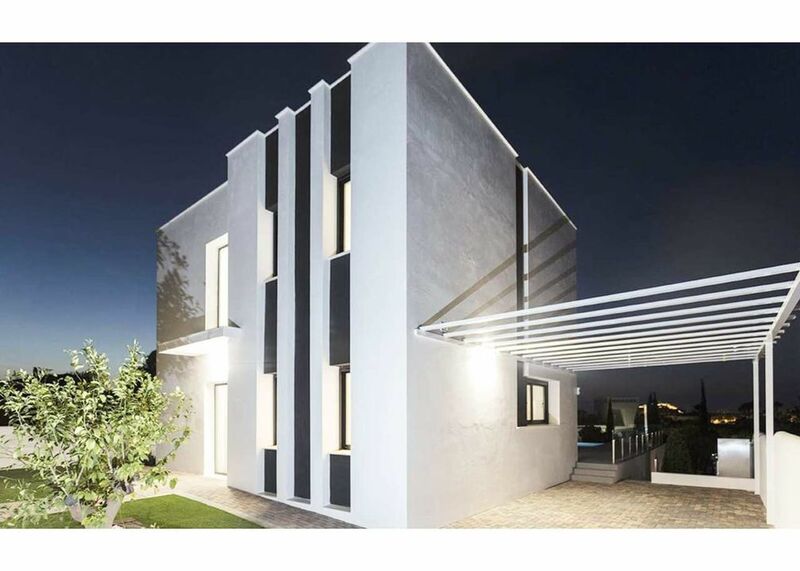 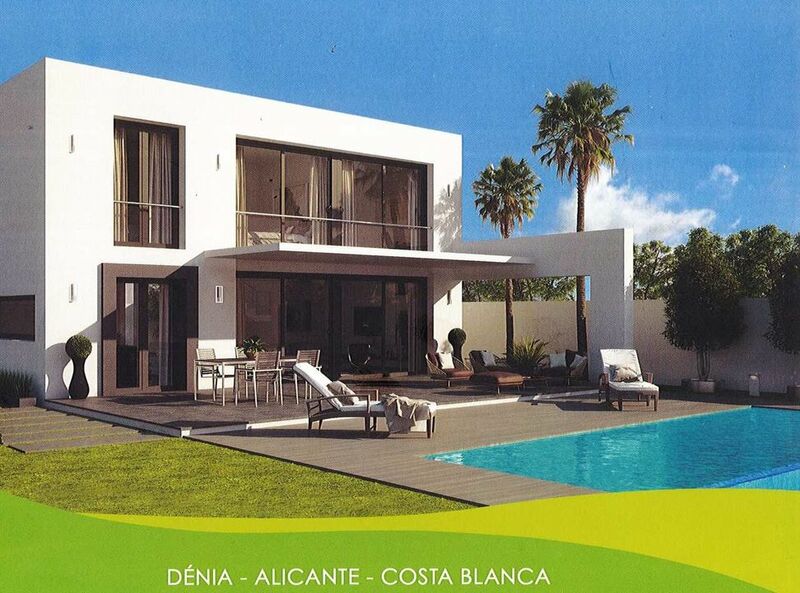 For Sale: Modern new build villas, to be built in a gated community just 2km from the Denia beach and a 10 minute walk from the amenities and restaurants that Denia town has to offer. 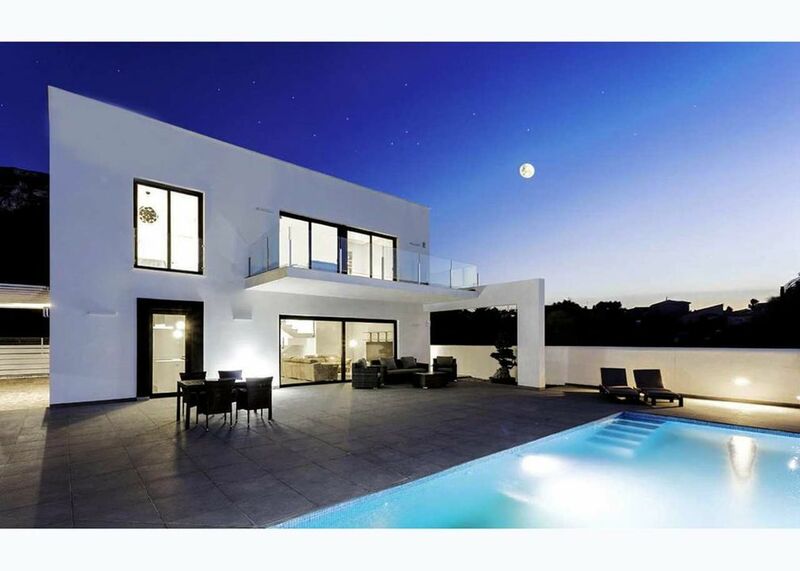 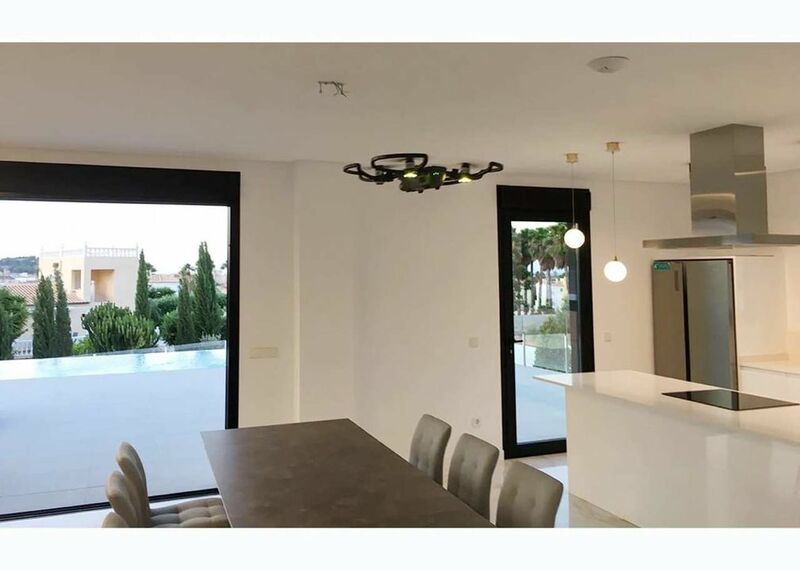 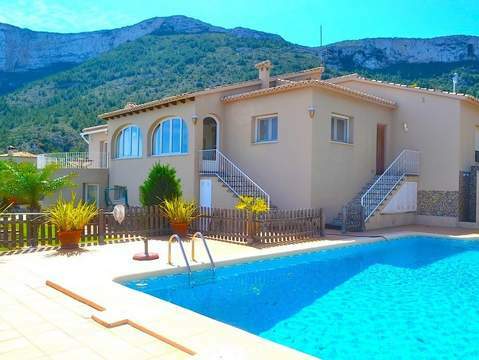 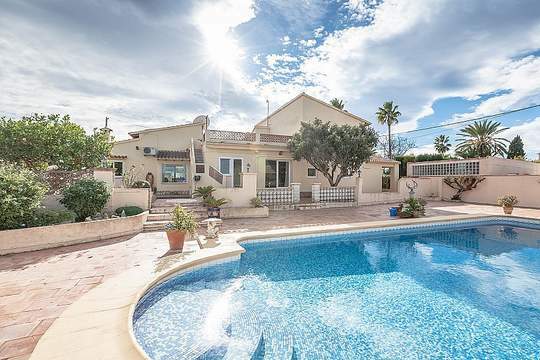 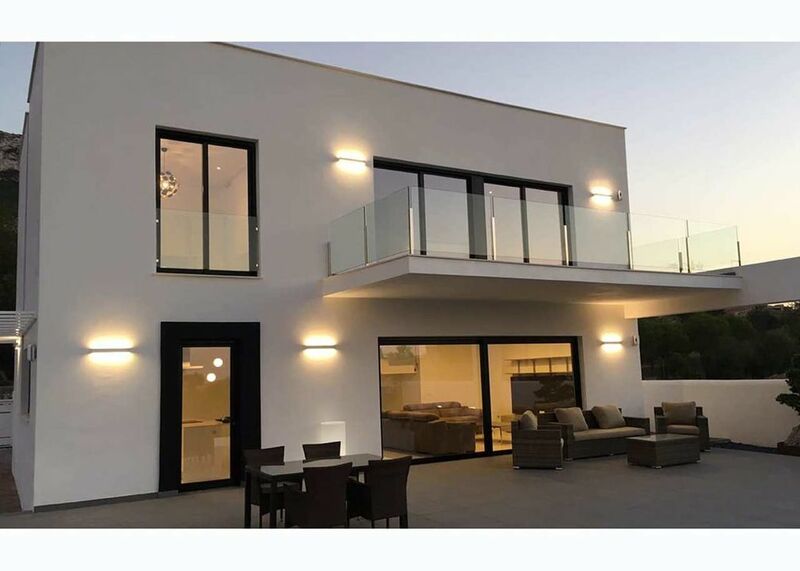 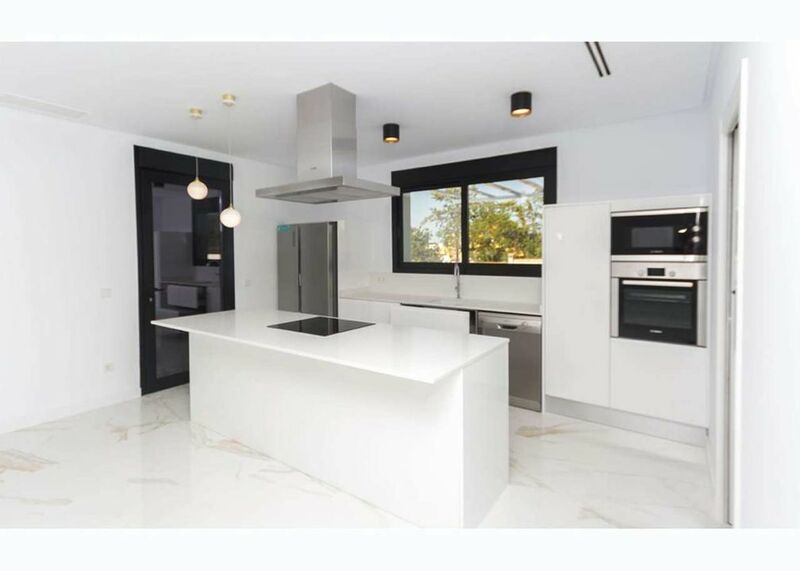 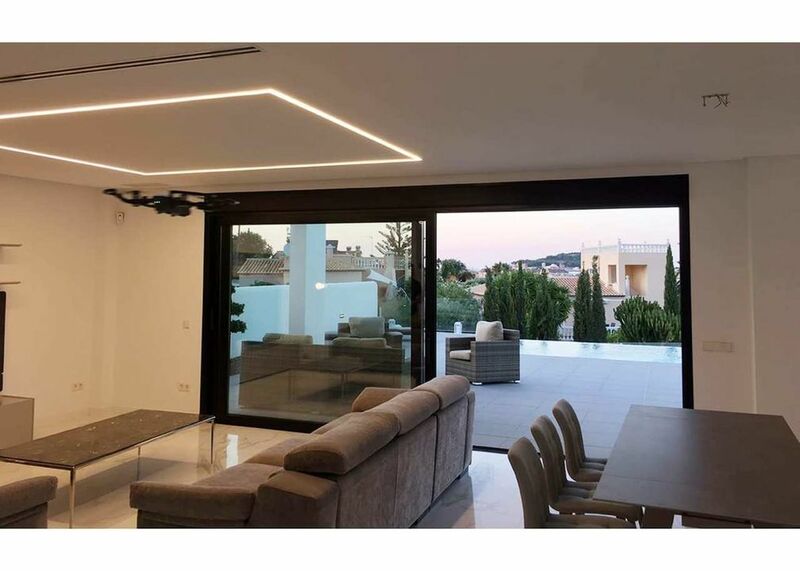 There are only 6 properties within this gated community, with prices ranging from 522,000€ to 550,000€ depending on the plot chosen as the upper plots have sea views. 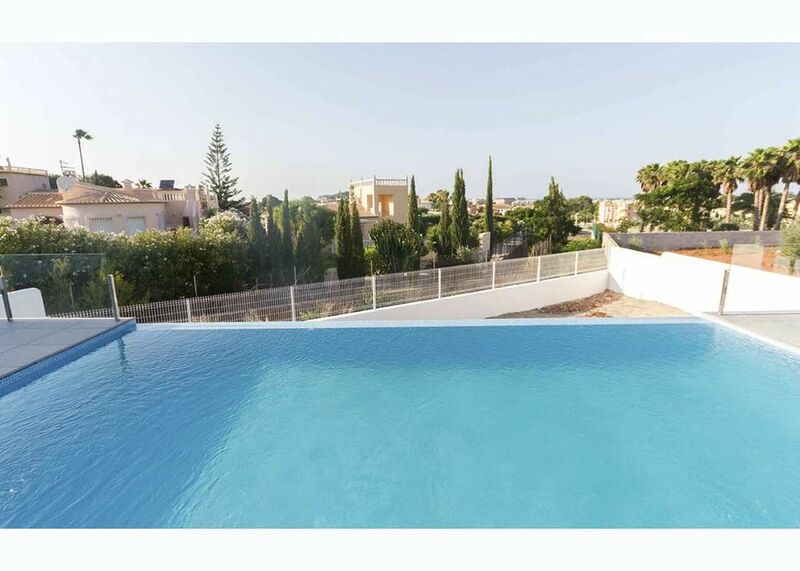 The villas comprise on the ground floor; open plan living/dining area and kitchen which open out onto the poolside terrace, double bedroom with Jack and Jill shower room. 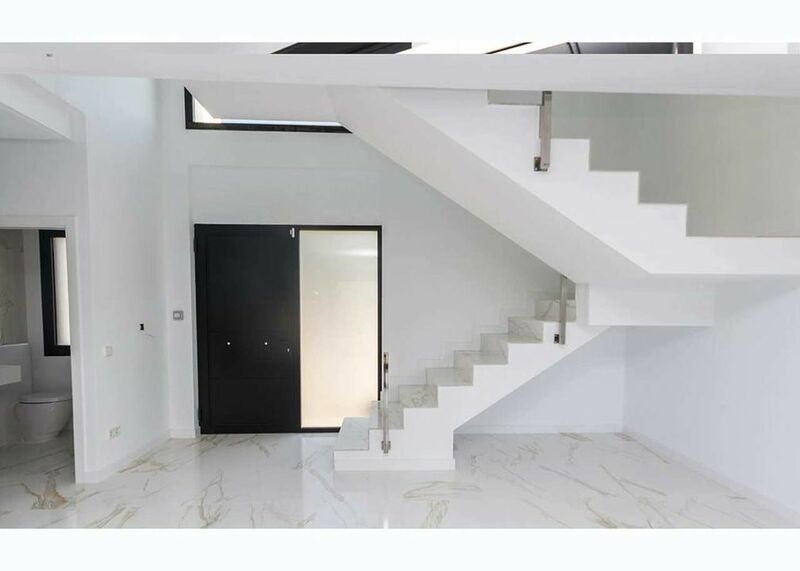 The upper level has a further 3 double bedrooms, the master bedroom with en-suite and walk-in wardrobe, while there is a further family bathroom on this floor. 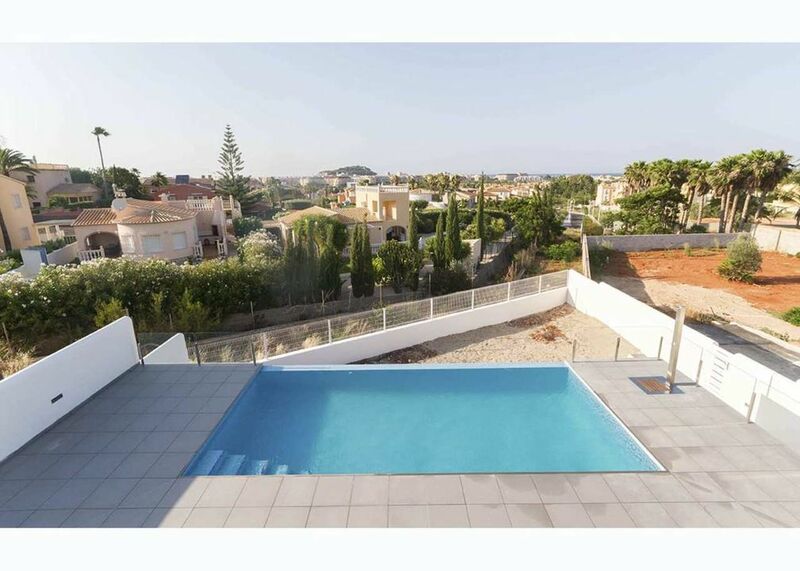 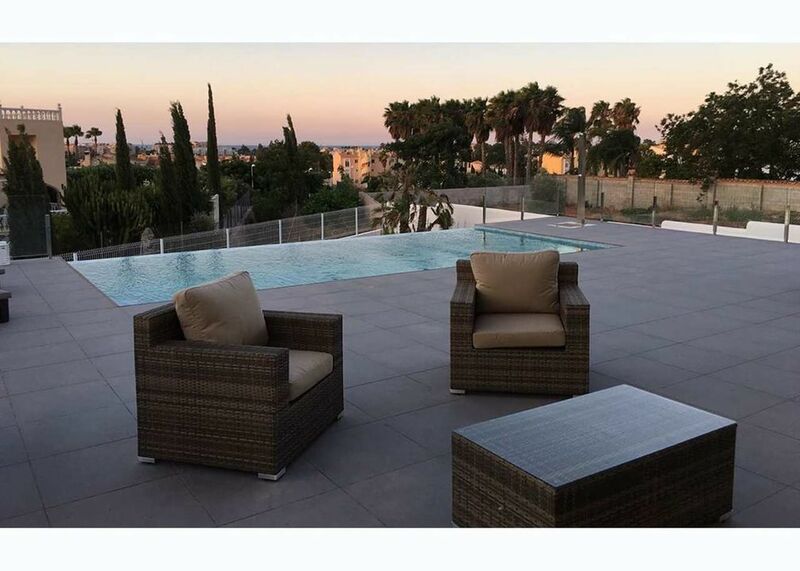 The properties all have their own swimming pool and have pre-installed air conditioning and a parking area for 2 cars. 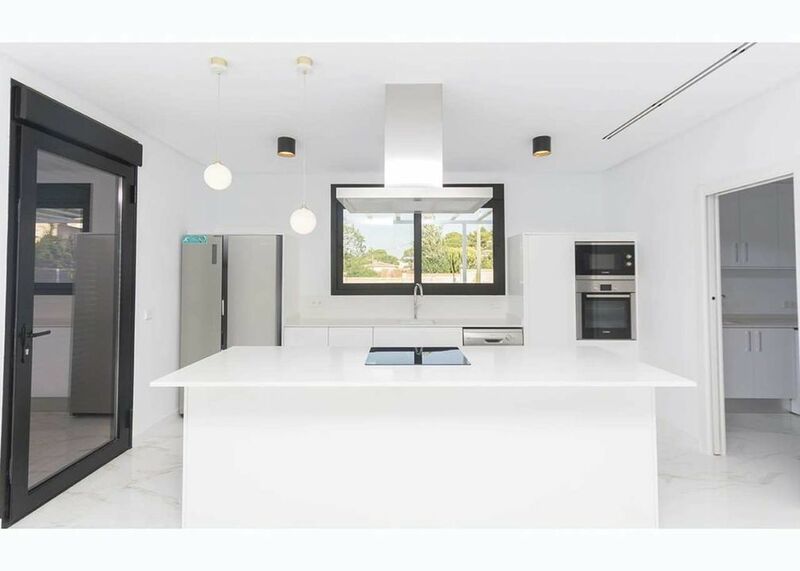 Note: the photos are of an already finished property on the development.